Actin filaments are essential for cytoskeleton functions (cell morphology, endocytosis and trafficking, contractility, motility…). In eukaryotic cells, polymerization and depolymerization of actin filaments together with their organization in higher magnitude actin-based superstructures and their complex dynamic properties are regulated by Actin-Binding Proteins (ABPs). Here, let’s review the ABPs recently released for cytoskeleton molecular modeling studies. ABPs are variety of active proteins that control G-actin polymerization but which also drive actin filaments severing and cross-linking to form complex cytoskeleton networks. Access to sources of qualified ABPs guaranteed for cytoskeleton molecular modeling and actin dynamics research is rapidly evolving. In this article, I’ll be reviewing the most recent ABPs released for cytoskeleton studies. CapZ – this ABP caps the barbed end of actin filaments in muscle cells. Gelsolin – an ABP controlling actin filament length. 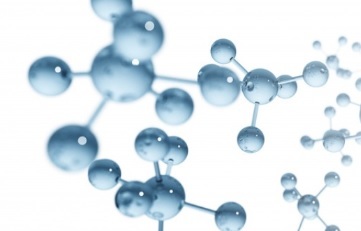 Its activity can be modulated by Calcium, pH , polyphosphoinositides and post-translational modifications. Vinculin – an ABP with cell-cell and cell-matrix junctions, where it is thought to function as one of several interacting proteins involved in anchoring F-actin to the membrane. Fascin – A monomeric ABP, bundling actin filaments with its two actin-binding sites. 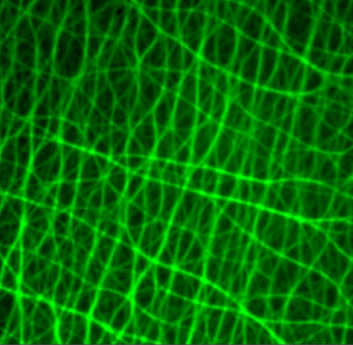 Filamin – A crosslinker of actin filaments to form orthogonal and flexible actin networks. alpha-Actinin – a Calcium-sensitive F-actin filament binding and crosslinking protein. 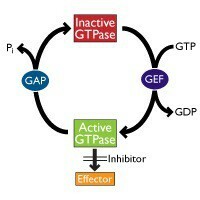 Thymosin beta-4 – A sequester of actin monomers by forming complexes with G-actin. Thymosin beta-4 maintains the pool of unpolymerized actin. Profilin – A protein with actin binding activity thus inhibiting actin polymerization. Tropomyosin – In skeletal muscle, the Tropomyosin dimer form binds laterally to the actin filament, strengthening actin networks. Tropomyosin-Troponin – a regulator of striated muscle contaction. This complex (composed of tropomyosin, troponin C, I, and T) regulates Myosin II interaction with actin. Cofilin – An ABP that binds and depolymerizes filamentous F-actin while inhibiting the polymerization of G-actin. Arp 2/3 complex – a protein complex at the origin of branched F-actin networks by creating nucleation cores. Myosins – myosins are motor proteins (ex. Myosin II, Myosin S1, cardiac Myosin…). When interacting with actin, they generate muscle force. Looking for Actin-Binding Proteins and cytoskeleton interaction? I hope this review will help you gain a better view of ABPs and actin interactions. However, the world of Actin-Binding Proteins and cytoskeleton interactions for research applications is evolving. 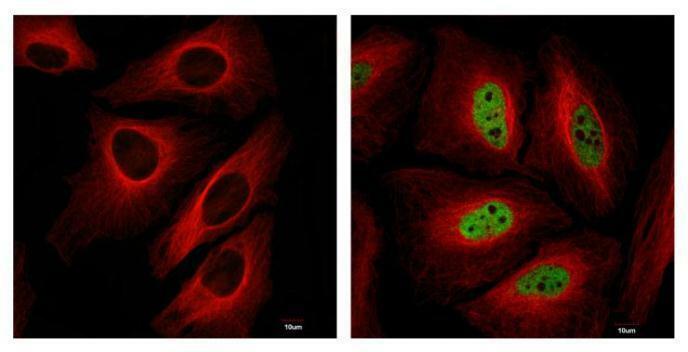 The Cell biologists at tebu-bio strive to maintain an attractive and up-to-date offer of recombinant or purified ABPs for cytoskeleton molecular modeling and dynamic studies. Stay in touch with them to learn about the latest cytoskeleton advances.